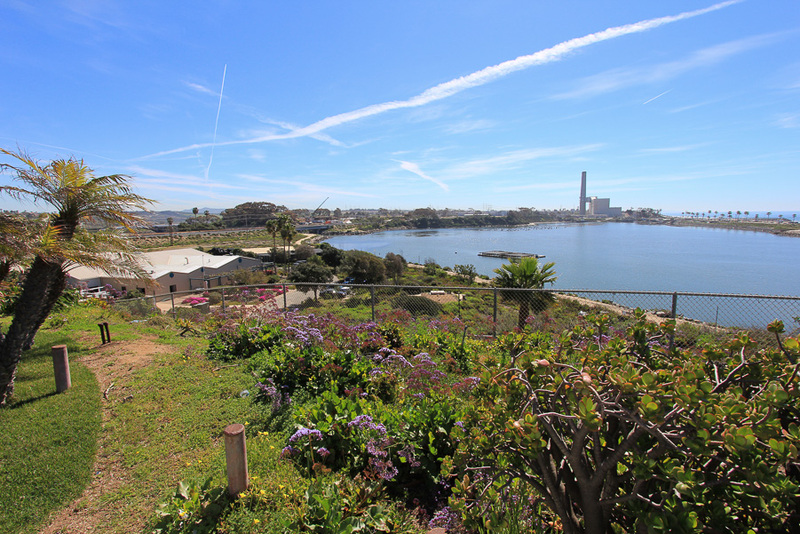 March 8, 2017 - Today we drove south to Carlsbad, CA for a private tour of the Leon Raymond Hubbard, Jr. Marine Fish Hatchery. 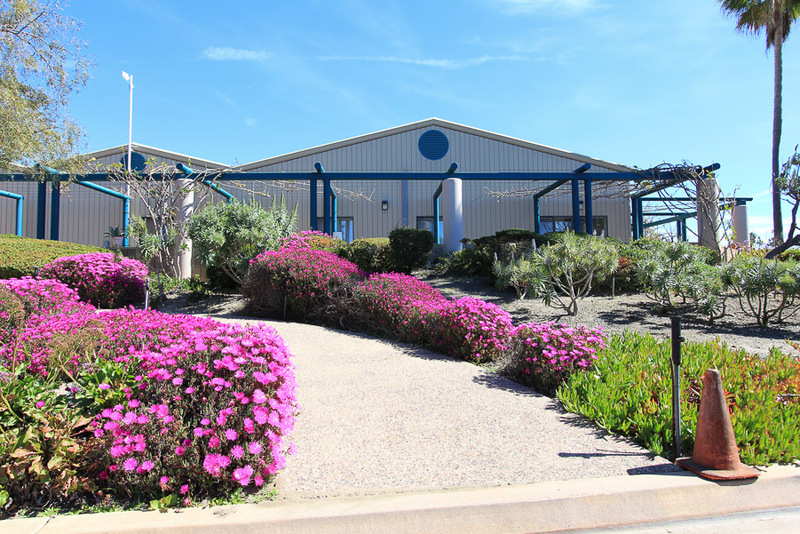 The hatchery was dedicated in October 1995 as one of southern California’s premier aquaculture facilities. 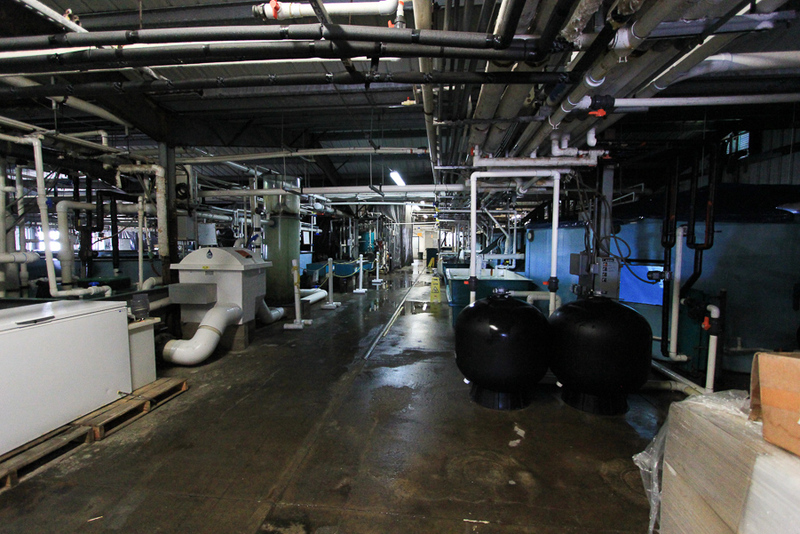 This 22,000 square foot hatchery is an expansion of the successful Ocean Resources Enhancement and Hatchery Program that is restoring the California white seabass population through innovative aquaculture and fishery enhancement techniques developed at the Hubbs Seaworld Research Institute. 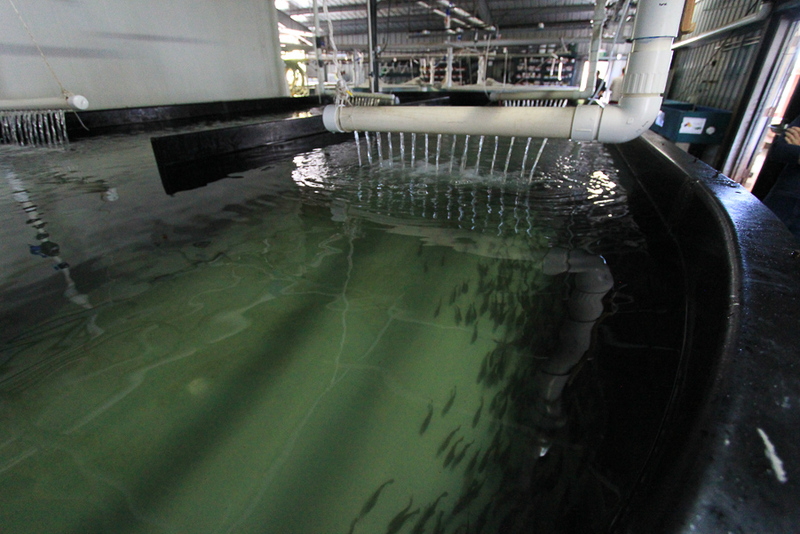 The hatchery is capable of producing over 350,000 juvenile white seabass annually. 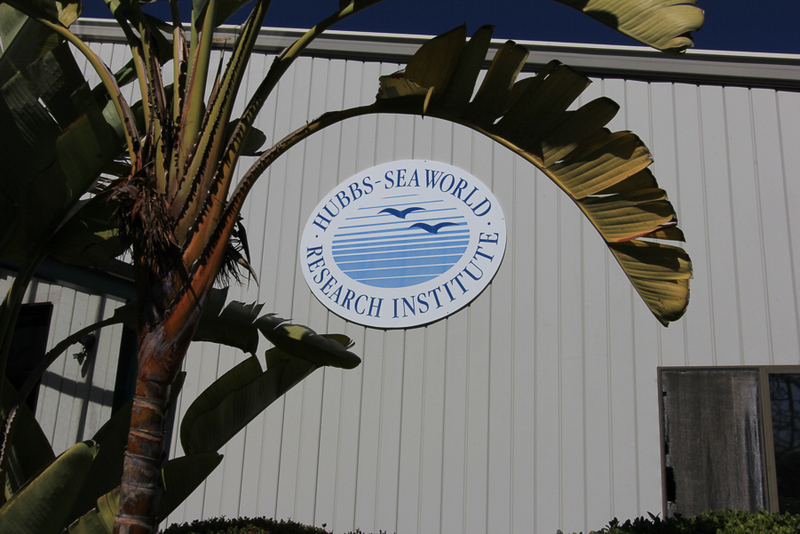 Since 1995, more than 2.4 million white seabass have been released by the Hubbs Seaworld Research Institute. Overall this is a very complex, hi-tech operation requiring highly skilled manual labor. There are breeder tanks, incubator tanks, and tanks for juvenile fish. There is also constant testing of water for temperature and quality. 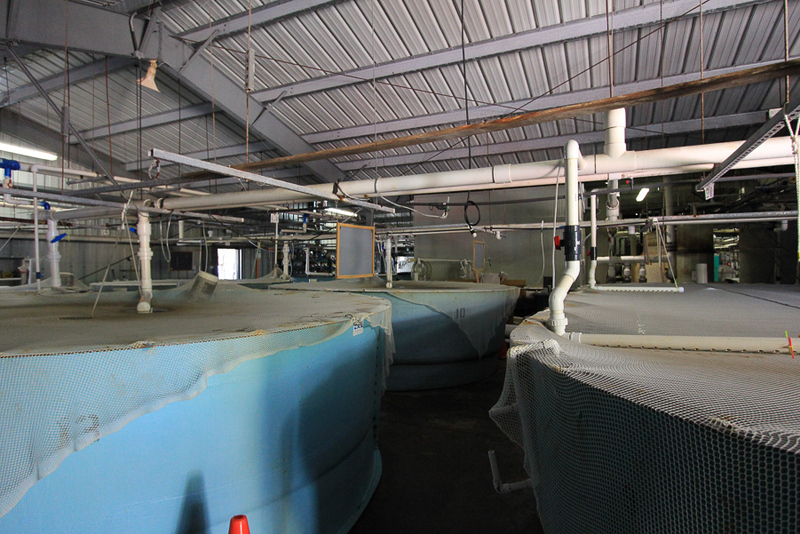 These are tanks for juvenile fish, which are raised here from birth until they are about 3-4 inches in length. All of the fish are tagged by hand. The tag is a small piece of wire that has a number stamped on it, which enables the researchers to track each fish in the wild. The wire is less than one-eight inch in length. These are the stations where the tagging is done. The operators insert the wire by the fish's left ear. All of the fish are anesthetized for this procedure. The nets are over these tanks to prevent the fish from jumping out. These are the breeder tanks. 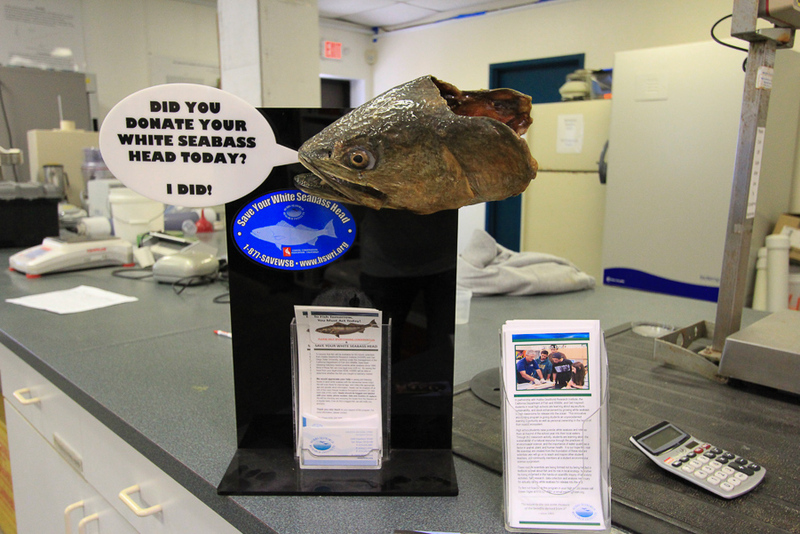 Fully grown white seabass weigh between 50 and 60 pounds. It is a very complex operation. 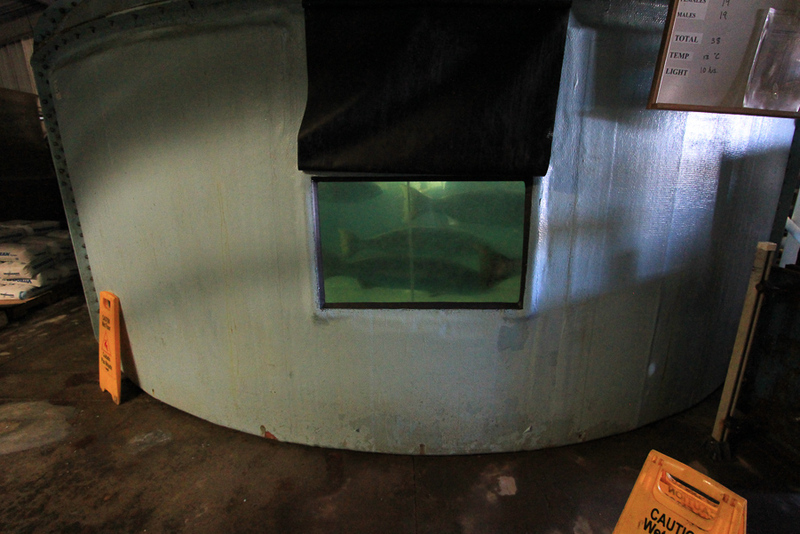 When the fish are about 3 to 4 inches in length, it's time for them to leave this facility. They are transferred to about a half dozen "grow-out" facilities located from San Diego to Santa Barbara. 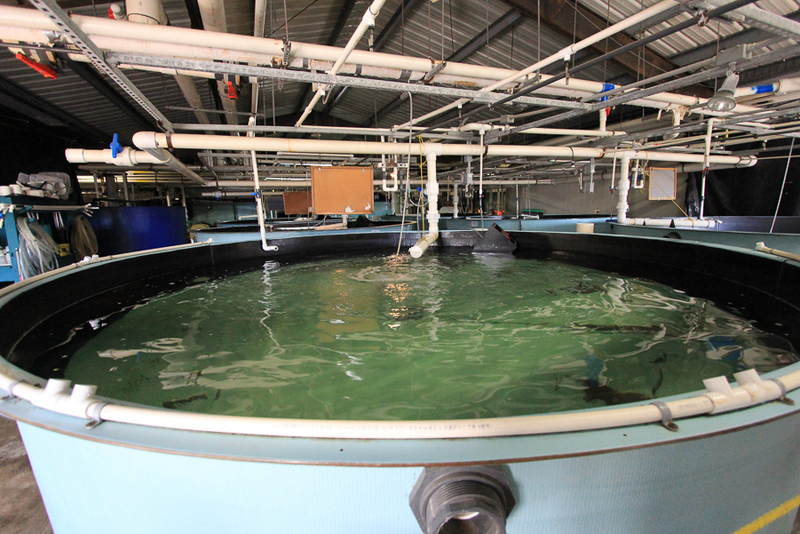 Most of the "grow-outs" are pens located in the ocean, although a few are in land based tanks. 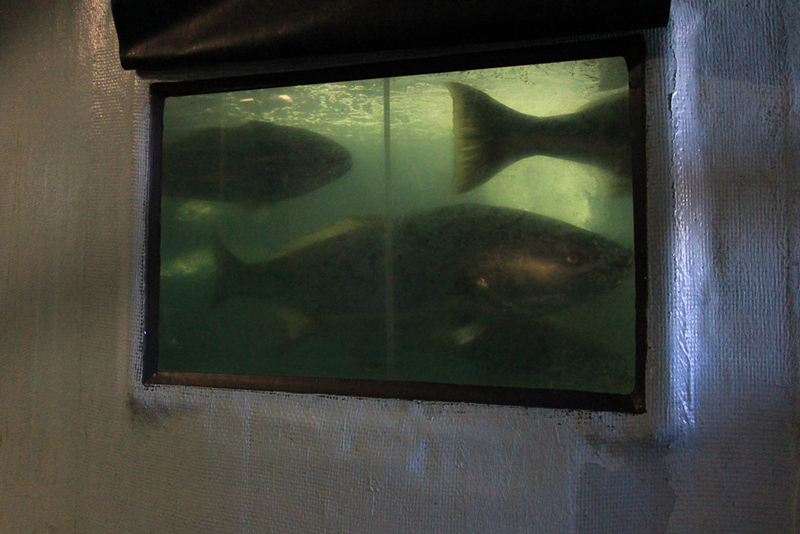 The fish are monitored and fed until they reach a size from 8 to 14 inches in length. That's when they're mature enough to be released into the wild. These tanks and the flatbed trailer are part of the moving operation. 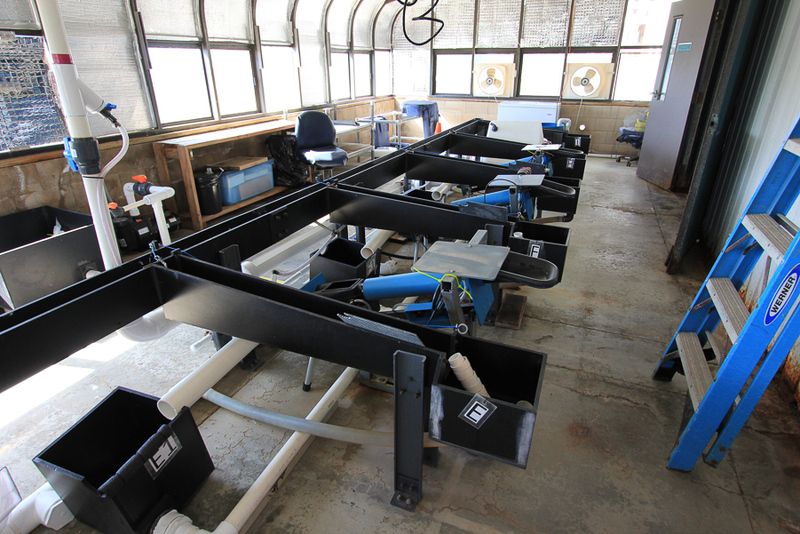 We also toured the laboratory here where fish data is analyzed. 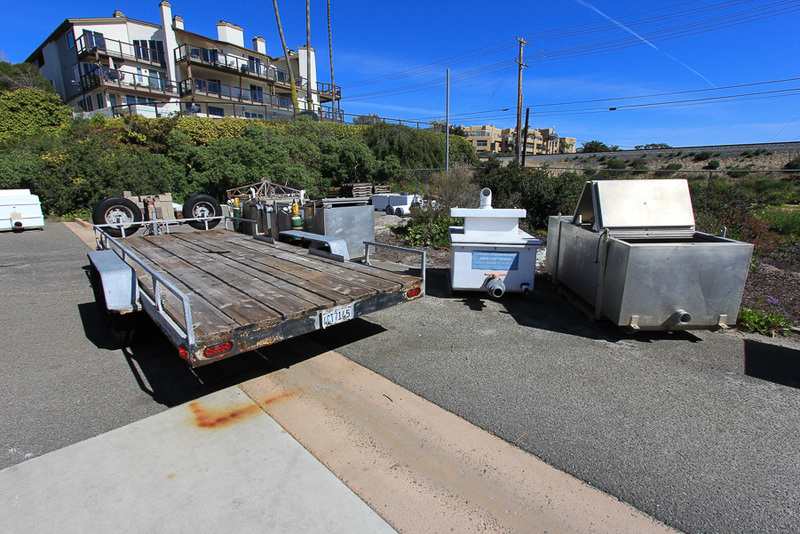 Throughout California there are about thirty "White Seabass Head Drop-Off Locations with Freezers." Both commercial and private fishermen know to drop off the head so the researchers can check to see if there's an embedded wire. White seabass have to be at least 28 inches in length to be a legal catch, a smaller catch should be thrown back to achieve maturity. 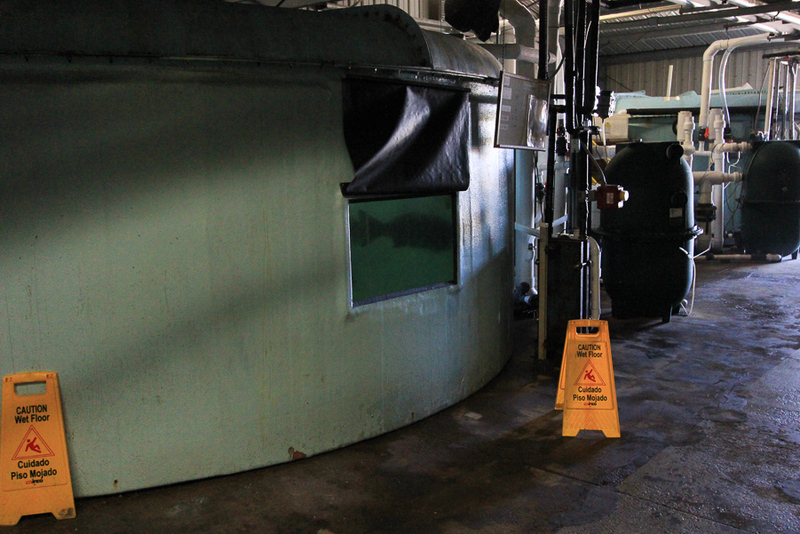 These two pens in Agua Hedonia Lagoon, next to the hatchery, are typical of other "grow-out" facilities in California. There are about 16,000 fish in these two pens. 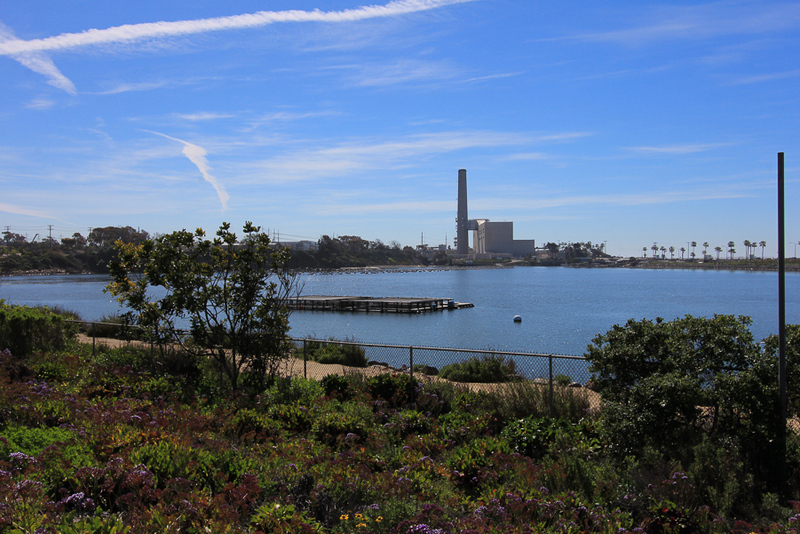 This photo shows the Hubbs facility on the left, the pens in the Agua Hedonia Lagoon and the Encina power plant in the distance. This was a very interesting and informative adventure, thanks to Karen McClune, our tour guide. 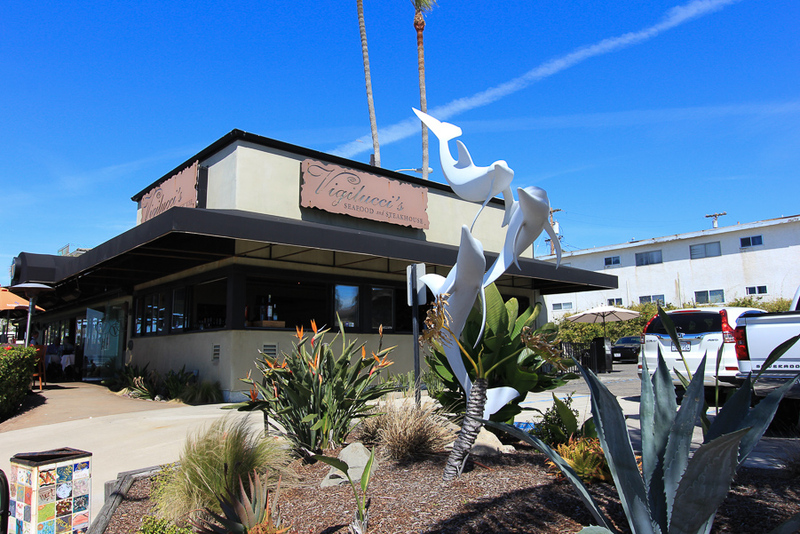 After the tour we had a wonderful lunch at Vigilucci's Seafood and Steakhouse restaurant located nearby. 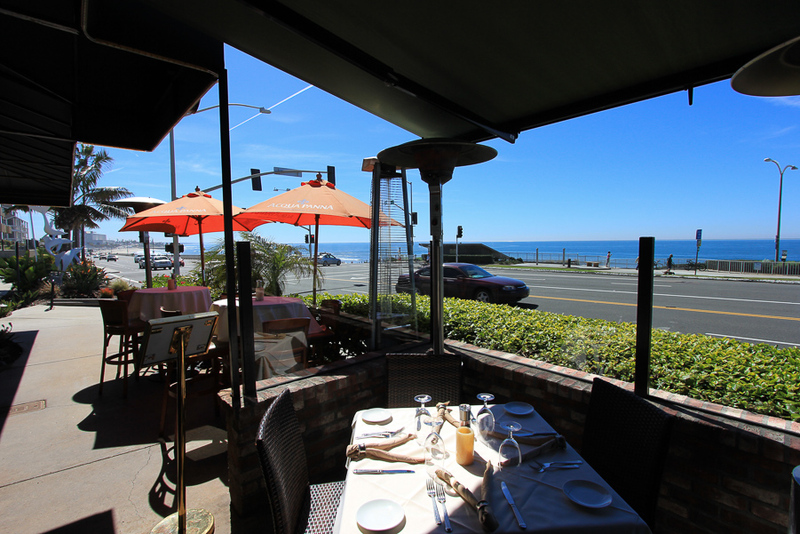 It overlooks the ocean so we sat outside to enjoy the warm sunshine. The food is fabulous, and what a view! I had their "Penne Vodka con Porcini," which is penne with chopped tomatoes, porcini mushrooms, basil and garlic sautéed in a tomato vodka cream sauce. I had it topped with rock shrimp, which really made it wonderful. Judy had their "Prime Rib" sandwich, which is oven-roasted prime rib, sliced and served with horseradish mayonnaise, mozzarella cheese, red wine, onions and hot au jus. Her side dish was truffle fries and everything was fantastic.